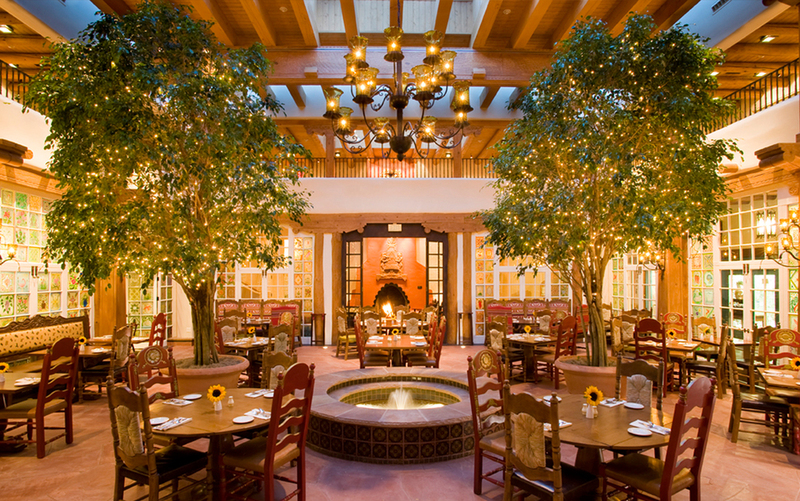 La Fonda on the Plaza marks the end of the legendary Santa Fe Trail and the beginning of new adventures—a place to unwind and explore Santa Fe’s countless charms. Museum quality art, craftsmanship and Spanish-Pueblo revival architecture welcome you to our historic corner of Santa Fe’s central Plaza. Here, the amenities and comfort of Four Diamond luxury join the living history, artisanship, hospitality, and sense of adventure that distinguish this vibrant destination. Extraordinary experiences begin at our threshold: Whether you cross into the warmth of our unique and bustling lobby or out into the bright, high-desert air, you enter a place apart, a place to fall in love with for the first time, or all over again. Let our friendly and deeply knowledgeable staff help customize your own Santa Fe adventure. Bienvenidos. We look forward to seeing you soon—and for many years to come. A new section joins the New Mexico History Museum’s main exhibit, Telling New Mexico: Stories from Then and Now. Focusing on the rise of the Fred Harvey Company as a family business and events that transpired specifically in the Land of Enchantment, the tale will leave visitors with an understanding of how the Harvey experience resonates in our Southwest today. Package includes two museum passes to the New Mexico History Museum, guest room accommodations for two, breakfast for two in La Plazuela and an autographed copy of Appetite for America: The Story of Fred Harvey and the Business of Civilizing the Wild West One Meal at a Time, by Stephen Fried. Includes breakfast for two in our La Plazuela restaurant and overnight stay in a historic room. Terrace rooms all include full breakfast in room or in restaurant with best available rates. Treat your special someone to a romantic getaway at La Fonda. Snuggle up with a one-night stay in a fireplace suite and a romantic dinner at La Plazuela. The next morning, take advantage of a $50 dining credit for breakfast in bed or downstairs, and rest easy with a 2 p.m. late checkout. This package also includes free parking. Miguel Covarrubias: Drawing a Cosmopolitan Line presents artwork that links Covarrubias’ commercial art, scholarly publications, and studio practice, to demonstrate the cosmopolitan modernism of his life and work, which were deeply influenced by his life-long practice of moving between modern cities and sites remote from New York or Mexico City. It reveals his influential role as part of a global network of modernists, including Georgia O’Keeffe. Package includes two museum passes to the latest Georgia O’Keeffe exhibit, guestroom accommodations for two and breakfast for two in La Plazuela. La Fonda on the Plaza was featured in episodes 5 and 6 of The Bachelor. 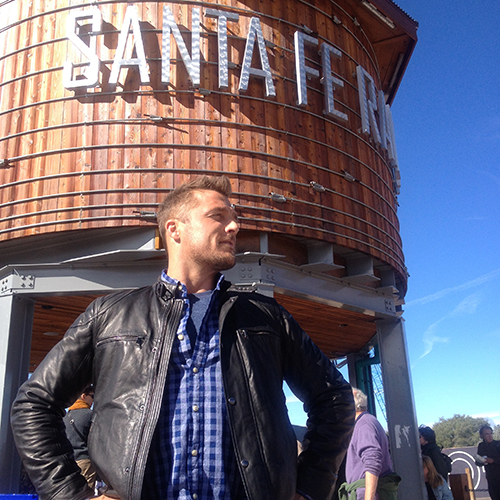 The episode featured a rose ceremony with the backdrop of the beautiful La Fonda property with the newest Bachelor, Chris Soules. The 19th season of The Bachelor airs Mondays 8/7c on ABC. For more information on The Bachelor, click the above link. No matter what the season, food, culture and nature buffs will find ample reason to find a unique adventure in and around Santa Fe. 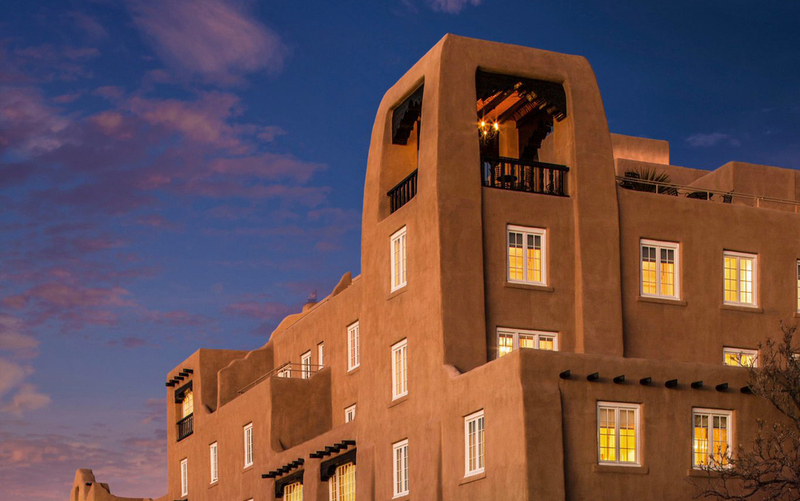 A mini-tour of the enchanting city of Santa Fe, New Mexico. Get a taste of all the city has to offer. Take a peek into mouth-watering restaurants, crystal skies, lush mountain ridges, hip art museums, and historic Native American tradition.